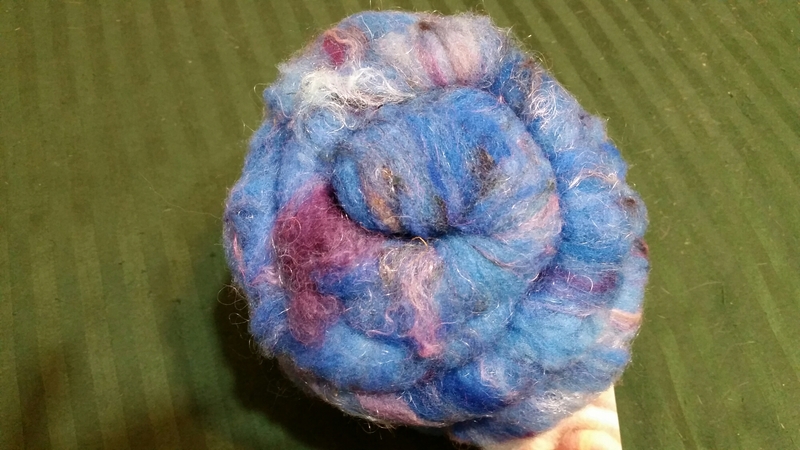 I decided to take a little break from silk and spin one of the art batts I got at the fiber fair in Dallas-Fort Worth when I was there a few weeks ago. This is yet another new type of spinning for me! An art batt is basically a constructed chunk of various fibers in complementary colors. It’s REALLY different than what I’ve been working with. 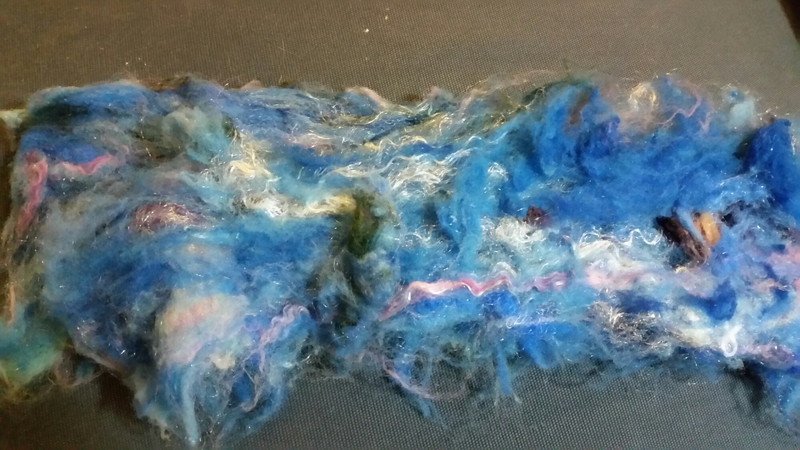 Different fibers, different preps, different textures, all mixed together – spins VERY slubby but pretty. It’s basically a big rectangle, and you tear off strips and spin them. 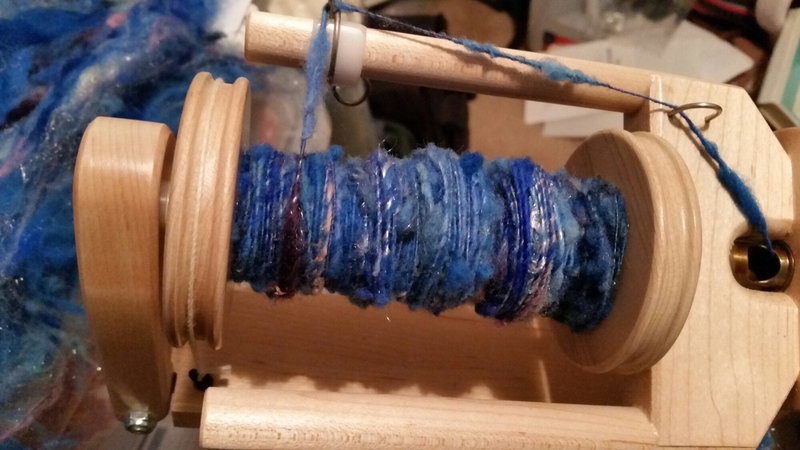 The pictures show the batt as I bought it, then unrolled, and then as I’m spinning it. This entry was posted in Art, Fiber and tagged Art Batts, Arts, Batts, beginnings, creativity, Honesty, Spinning. Bookmark the permalink.